We purchase most of our malted grain (or 'malt') in 50-55 pound sacks as it is considerably less expensive than buying by the pound. This is especially true for the base grains that will often make up 70-100% of any given recipe. Purchasing other specialty grains in bulk doesn't always make sense as they usually only make up a small percentage of any given recipe. 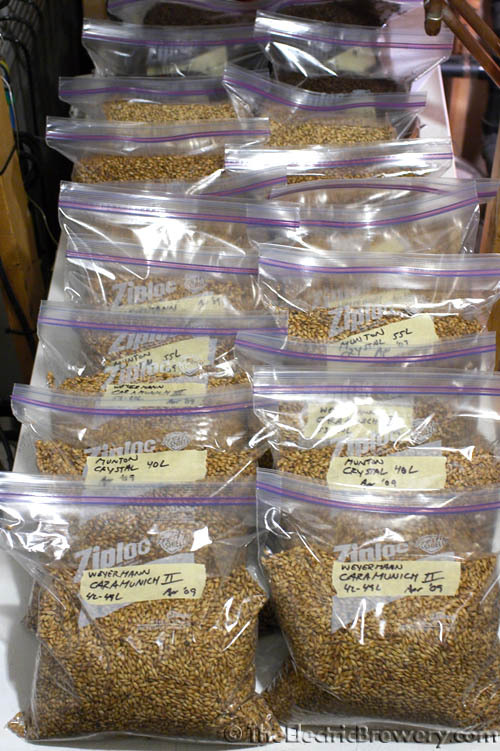 It's not uncommon to add only 1-2 pounds of crystal malt or only a few ounces of roasted malt per 10 gallons of beer produced. 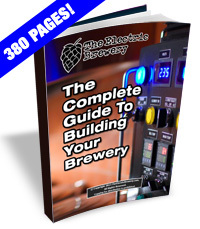 Unless you intend to split a 50 pound sack with other brewing friends, it's best to purchase specialty grains by the pound. Others exist of course, but these are the ones we use the most. Grain is best stored in a cool, dry place away from sunlight and heat. One of the most important factors in keeping grain fresh is to keep it in a completely sealed/airtight container of some sort. The container must be completely airtight if the grain is to be kept fresh for any length of time. The 50-55 pound sacks that bulk grain is shipped in are not airtight by any stretch of the imagination and should be used within a few months. Stored under ideal conditions in an airtight container however, un-milled grain will stay fresh for well over a year. We store our grain in our cool basement in 6 gallon 12" diameter food grade buckets that were previously used in the food making industry. Once cleaned they make ideal storage containers for grain. Two 6 gallon containers hold exactly one 50-55 pound sack of grain. The lids of these containers however are not sealed/airtight so we use Gamma Seal lids instead of the stock lids. These lids are used for all sorts of applications including canoers who need waterproof and airtight containers. Snap the adapter onto the bucket using a rubber mallet, and then simply spin on the removable lid to screw them tight and create an airtight seal. They are very easy to use and no special tools needed to remove the lid - simply spin them on and off. Specially engineered gaskets ensure that the lid and adapter are properly sealed to guarantee airtight protection. Gamma Seal lids are available in different colours allowing for a quick and easy reference by using one colour for base malts, another for crystal, and so forth. 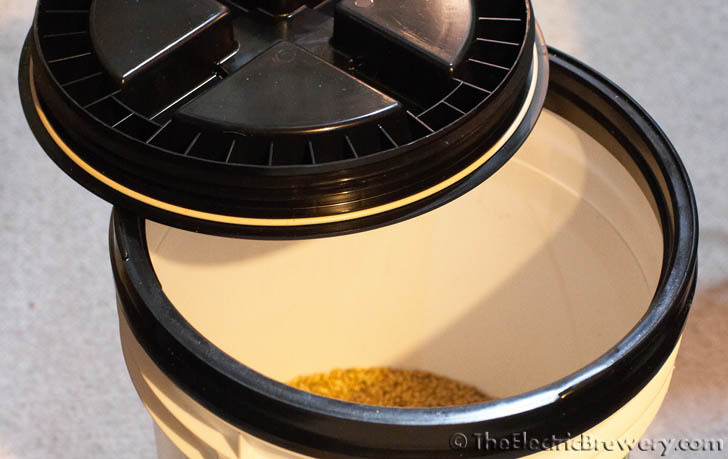 The Vittles Vault line of pet food storage containers are also an excellent for storing grain. They come in various shapes and sizes for up to 80lbs of storage, and include stackable versions for easy access. Gamma Seal lids are included. Gamma Seal lids are available in assorted colours are available too so you can organize your grain any way you like by lid colour. 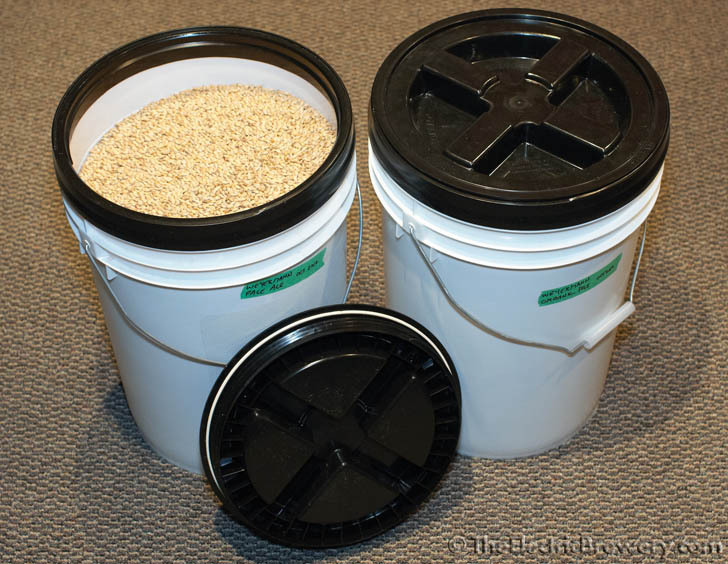 The combination of 12" food grade buckets and Gamma Seal lids is by far the most inexpensive and convenient way we've found to store large quantities of grain in a completely airtight manner. The lids are extremely easy to open and close by hand and create a perfect seal every time. We've seen many other containers (mostly cheap pet food storage containers) that claim to be sealed or airtight but upon closer inspection they do not create nice airtight seals as promised. Try this simple test: Walk into the area where you store your grain and if you can smell the grain at all (even just a little bit) when up close or when you squeeze or press on the container or lid, your storage system is not airtight. A plastic lid, even if it has a foam lining, snapped to a plastic body will not form an airtight seal. Over time air will circulate causing the grain to go stale at an increased rate. To store our grain, we simply pour base grain directly from the sacks into the buckets and spin on the lids to seal. One 50-55 pound sack fits in two 6 gallon 12" buckets. 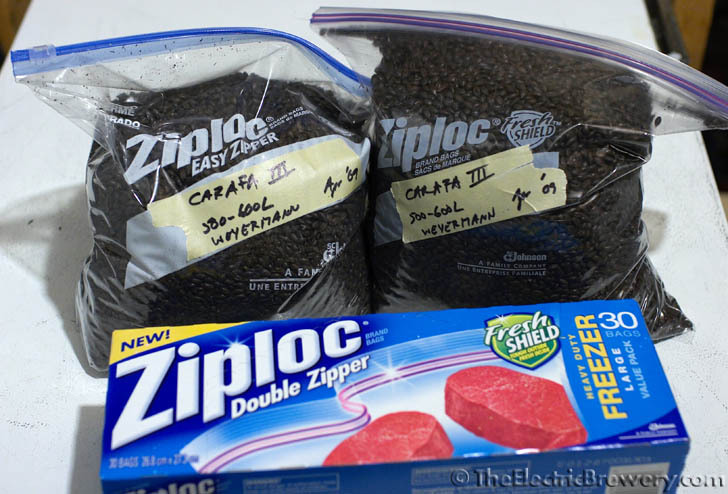 Specialty grains are also stored in the buckets but are first placed in ZipLoc double zipper gallon storage bags and labelled with a Sharpie permanent marker. Each gallon bag holds approximately 4 pounds of grain. We then label the outside of the buckets too. We keep approximately 20 buckets on hand which provides us with enough grain to brew any beer imaginable, any time we want.